Designed to kick-start the F.I.T. programme, cleanse your body and adjust your mindset, C9 provides the perfect starting point for transforming your diet and fitness habits. Based around Forever’s bestselling Aloe Vera Gel drink, this nutritionally-balanced programme will allow you to see real results in just nine days. It is the ideal starting point for a healthier fitness plan. When clicking order online you will be directed to the official selling site of the C9. The clean 9 pack is available in vanilla or chocolate. Please choose an option. What is Clean 9 forever living? It is an innovative product to cleanse your body. 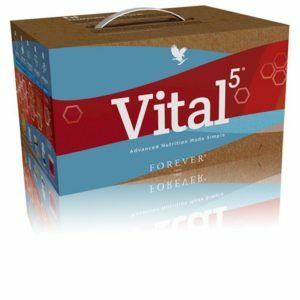 It is the perfect kick start you need for your healthy living. Based around an Aloe Vera Gel drink, this nutritionally-balanced programme will not disappoint! What are the benefits of the different elements in the package? Forever Aloe Vera Gel- Maximize absorption of nutrients and is good for the digestive system. 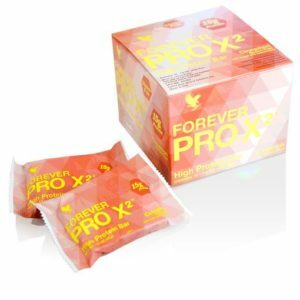 Forever Fibre- Includes water soluble fibre that can help keep you feeling full. 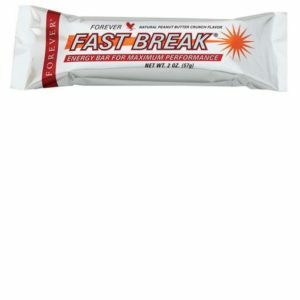 Forever Therm- Botanical extracts and vitamins that can help support a healthy metabolism. 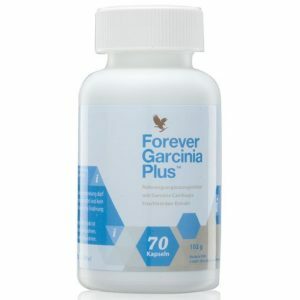 Forever Garcinia plus- Will help the body burn fat more efficiently. 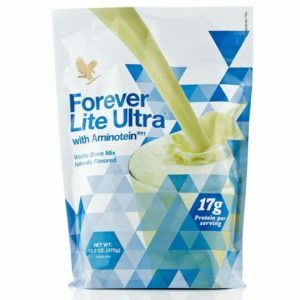 Forever lite Ultra – This shake mix is full of vitamins and minerals, which an added heap of protein. What else is great about this product? There are two flavours to choose from: Vanilla and chocolate. Each flavour is delicious and makes the experience of the products even better. Eliminating toxins will help your body absorb nutrients more efficiently. This course is about establishing long-life habits, not just a quick fix. Building this foundation will lead you onto discovering your potential and enable you to build up a really good knowledge of your body and your capabilities. What is the next step after the Clean 9? After you have completed the first course you can then move onto the next. F15 is your next step and is another course designed to keep you on track and achieve a better and healthier looking you. There are three different levels according to your fitness level. Beginner- If you are new to fitness then you can start with this one. Get comfortable with the basics of fitness with body-weight workouts, fundamental movements, and basic cardio. This course is designed to form a foundation for your fitness and nutrition. It contains easy to follow supplement and nutrition guides, healthy recipes and weight management products. It will also cover the basics of food group importance like protein and will also cover why it is fundamental you start your day with a decent meal. Intermediate- This is perfect for those who already enjoy taking part in fitness, but what to take the next step. This includes an extensive schedule of supplements you already know and love from the Clean 9 course. It also includes new healthy recipes, customised workouts, and yoga. This program will help build lean muscle and make incredible changes to your body. This level has a higher intensity of cardio as well as information to help understand the benefits to your body. The information will also cover topics such as how to get past cravings. Advanced- This is for those who are already incredibly active and have the basics nailed. This course focuses on how to gain greater muscle definition into those lean toned limbs. This course also covers advanced cardio workouts and further information on the best nutrition for your advancing body. Understanding nutrient timing is also covered greatly as a new concept to fit into your daily routine. No matter how big or small you are there is a course for you. The Clean 9 course gives you that 9 day boost which gets everyone to the same starting point to move onto their chosen level on the F15 course. All these products and guides give you the best information and guidance to stay on form. So what are you waiting for? Start today and discover your potential! Forever Living is proud to offer their own ultimate detox diet package; the hugely popular and widely successful Clean 9 Diet, also known as the C9 Diet. Unlike other detox diets, the C9 enables you to start your diet in the safest way, conditioning your body and removing all the toxins currently present, to start you off on a healthier path. Whether it is for health or fitness reasons, the C9 is the perfect solution to kick-starting that new regime you’ve been searching for whilst conditioning your body from within. 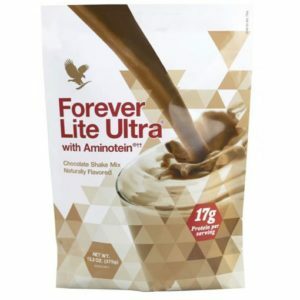 With two delicious flavours to choose from, including vanilla and chocolate, this really is a detox product that can help you control and maximise your diet’s success! C9 isn’t just about looking good on the outside -it also contributes to building up a more healthier body from the inside. Forever believe that to see the benefits of a healthier body on the outside, you first need to look carefully at what you put into your body. That is why the Clean 9 Diet is more than just an aid to help you to lose weight; it is also an essential nutritional plan designed to clean and repair the body to make the process of dieting more effective when you embark on a weight loss programme. By making the decision to take on the C9 project, you ultimately take the choice to transform and prepare your body to tolerate a much healthier lifestyle, and that is why so many people choose to utilise the C9 package when they want to make changes not just to their diets, but more so to their mindset! Forever have worked for many years on their C9 products to continually improve them. Aware of how many people like to find quick fixes, they have created a diet plan that is instantly designed to boost your chances of weight loss, effectively providing you with the foundations of a successful start to your new routine. To gain the maximum benefits from your detox diet, Forever Living has selected five of their most powerful products that encourage the cleansing process of the diet, whilst suppressing the appetite. When all these products are combined, they offer the most effective and powerful form of detox – allowing you to personally work closer to achieving a healthier version of yourself. A few people make the mistake of believing a detox to be the time to stop eating and drinking in its entirety, to flush away all toxins which have built up in the body. This is in fact perhaps the worst choice you can make when you start a detox and one which will set itself up for failure within the first day or two. It is also one of the most unsafe methods of detoxing. C9 was designed to encourage a more stable and progressive detox, considering that it can do more harm than good to simply stop eating and, more so, drinking during this delicate process. By formulating the Clean 9 Diet, Forever have devised a controlled and safe method of detoxing steadily, a method which considers the body’s natural need for water and nourishment, ensuring that it is satisfied in other ways whilst the detox progresses. How Do I Use The Clean 9 Diet? When embarking on a C9 package, it is advisable to pick the best available time that will allow you to work with the recommended program, particularly in the first couple of days as you adjust to your new regime. The Clean 9 Diet is a nine-day process, therefore for just over a week, it would be beneficial to pre-plan your schedule and meal times to incorporate each stage of the process. Using C9 does not mean having to cancel all plans and sit in the house waiting for it to do its thing! In fact, the combined package is designed to work with even the busiest of schedules because Forever realises that our lives are constantly busy. However, if you can make sure you have the right products to hand at the same time each day, you greatly improve your chances of success. If the body is encouraged to develop a structured routine, it is less inclined to fight it – meaning less time taken on accepting any changes. Establishing a good C9 routine ensures you will also get to grips with what is required of you immediately, making the process hassle free as you work through each stage. Use each C9 product as recommended in your guide for maximum effect. Stage One – Days One to Two: The main detox days are the first two days of the Clean 9 Diet. Breakfast, snack, lunch, dinner and evenings consist of using the relevant products, as stated on the guidelines, which are predominately your aloe vera drinks, herbal supplements and your meal replacement drinks. As you can imagine, without any physical meals included in this initial part of the diet, this is often the most challenging part of the process and it is frequently referred to by many as a gruelling beginning. However, the use of the Forever Fibre stick with water as a mid-morning snack replacement, alongside a meal replacement drink to be used during lunch time at this stage, are both a small but welcome addition to keep you going through this tougher period of transition. The C9, therefore, offers more leeway than most detox plans regarding these additional items. Make sure to weigh yourself on the very first day, making a note in your attached C9 Booklet. Stage Two – Day Three to Day Eight: Once you have made it past the first two days, it is highly recommended to build in a moderate intensity exercise routine of just 30 simple minutes each on these days, purely to begin taking advantage of the energy you will build up as you continue to work through the diet schedule. You will be pleased to know that these days also mean a 600-calorie meal for dinner, alongside taking the Forever supplements! Once again, weigh yourself on day three and day six, making a note of your results. Stage Three – Day Nine: Well done, you have made it and are now an official successor to Forever Livings C9 programme! By now you will be feeling at your peak best, with your body fully aware of its new path, and fighting fit and ready to go. To celebrate your success, your last day allows you to not only access your 600-calorie meal for dinner, but this is the day you can also reward yourself and your accomplishment through a low sugar 300-calorie meal for lunch! You should also weigh yourself at the end of day nine and add this final figure to your records. Don’t forget that during this nine-day regime, you should be drinking plenty of fresh water, whilst ensuring you avoid any fizzy or carbonated drinks. Replace your usual salt intake with herbs or spices, wherever necessary. Then there are those all-important free foods, consisting of a variety of fruit and vegetables that you can continually access if you choose to do so. Who Can Benefit from C9? One of the great aspects about Forever’s C9 is its reliance on the plant-based aloe vera product, meaning everything about it contains the most naturalist of ingredients. This makes it safe for most people looking to begin on a new eating plan. Male or female, age is not a barrier to utilising this product. Because aloe vera is considered perhaps one of the safest and extensive ingredients offering various benefits, very little people suffer from any unwanted side effects when they use it. This makes it the perfect product to use as part of your detox diet plans. 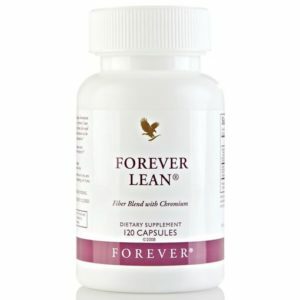 Whether you have a holiday coming up and want to get into shape for it, perhaps there’s a wedding you want to look your best at, or maybe you have a tough few months ahead at work and you want to be at your peak, fitness wise, to get through it all without succumbing to exhaustion – the Clean 9 Diet can also be used for one-off specific upcoming occasions if you would prefer. Though, many of Forever’s satisfied customers will tell you that once you’ve begun on this healthy eating path, you may not want to waste all that hard work, and consequently resort to never to return to your old bad eating habits ever again! – If your current diet is healthy and balanced already, but you just like to detox every so often. Many satisfied Forever customers choose to return to the C9 package and purchase it maybe two or three times per year, as a way of participating in a healthy and controlled detox which they know to be safe and will yield their desired outcome each time they use it. The reasons for taking the C9 challenge are endless, but all have one thing in common; each person wants to make a change and see an active difference in their body’s current state. What Can I find In My C9 Package? What Does Each of These Products do? 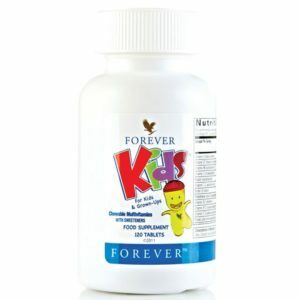 Forever Aloe Vera Gel: Maximises the absorption process of vital nutrients by helping to cleanse the digestive system. 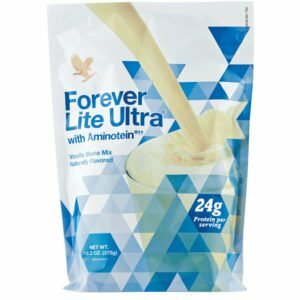 Forever Lite Ultra with Aminotein: Provides a delicious shake drink with an abundance of minerals and vitamins in each serving. 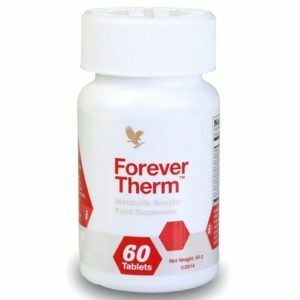 Forever Therm: Helps support metabolism through its powerful combination of botanical extracts and vitamins. Forever Garcinia Plus: Can encourage an increase in serotonin levels which lead to a suppressed appetite. This ingredient is said to help burn fat more effectively. 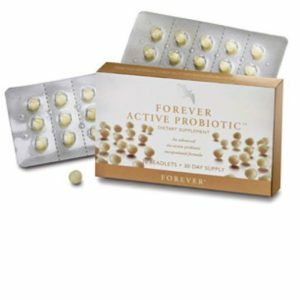 Forever Fibre: Encourages a feeling of fullness through its blend of water-soluble fibre. With the extensive package of the Clean 9 Diet comes a wealth of information to help guide you through the cleansing process step by step, starting with which product to take and when to take it. Included in the helpful guide is also a chart where you can note before and after measurements, to monitor and track your progress as you work your way through the plan. Because Forever understands the importance of visualising your goals, there is also a section for you to write down what one goal you most want to accomplish through your time on the C9 plan. Having something to aim towards as you undertake your detox diet offers a powerful reminder of just why it is that you decided to make this bold and brave decision in the first place! More so, that feeling of accomplishment when you can look at your goals and say with certainty that you did, in fact, achieve them, is something money just can’t buy! Do I Need to Change My Diet When I Use C9? The first couple of days on a C9 plan will no doubt be the hardest, like many other detox diets, as your body struggles to cope with the sudden changes. However, many customers seem surprised when they find out that not only can they have a decent nourishing 600-calorie meal each day, after the initial two-day detox, but they can also access a huge amount of fruits and vegetables and eat them freely through the C9’s duration! For many, this is perhaps the only time they will exceed that well known five a day suggestion, with lots more participants realising just how appetising some fruit and vegetables can be! However, as with all diets and health plans, your personal success cannot just be determined by one product. The need to make certain changes as to how you live your life plays a huge part in increasing the success of any diet you undertake. When using the C9 Diet package, because everything is included, for the period you are invested in the diet process you should aim to work as closely as is possible to the suggestions given. Whilst C9 can start you off on the best path, it cannot determine which route you choose to take afterwards. 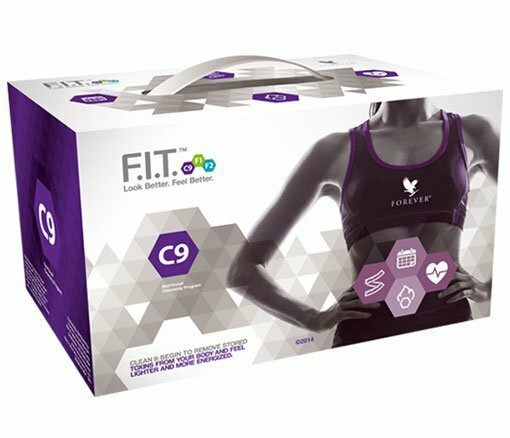 However, many of Forever’s customers who have used C9 in the past will tell you that once you have utilised the products help to support you with the hard work, the crucial beginning of the diet, the rest is simple! How Fast Will I See Results On The C9 Diet? With increased energy and renewed vigour, you will begin to feel good within yourself within a couple of days of being on the C9 route! This, in turn, can only help boost how well you look on the outside! With so much energy, devising a practical and achievable exercise programme will be within your reach because you will feel that your body will now be able to cope better. Your renewed energy should, therefore, start to become more visible from day three onwards. Although the transition is initial tricky on days one and two of the C9 plan, provided you stick to the plan of action, once your energy levels return you should feel an overall sense of lightness and fulfilment take over, replacing any sluggish feelings. By the end of the detox, C9 users report a feeling of renewal, as though they have been cleansed from the inside out, and consequently feel almost as good as new! By the end of your own C9 journey, you should be feeling at your peak best and perhaps ready to begin implementing further lifestyle changes to capitalise on this new-found discovery! If you have tried and succeeded at C9, but have eventually found yourself slipping back into bad eating habits, it is perfectly safe to attempt the C9 program once again. However, perhaps this time around, you may consider connecting with other potential C9 users on social media to make your challenge widely known. Studies have shown that when we declare our intentions and goals and make those around us aware of our situation, we are more likely to succeed in achieving our targets. Forever Living thoroughly believe in actively encouraging all their C9 customers to reach out to one another, when undertaking this exciting journey, to find like-minded individuals who will be able to relate to your circumstances and perhaps give you that final push that you need to make it to the finishing line! If you are interested in joining the thousands of people who are experiencing the healthy lifestyle transformations that the Clean 9 Diet can offer, get in touch today for more information – this may just be one of the most important steps you ever take towards accessing a more healthier lifestyle choice.